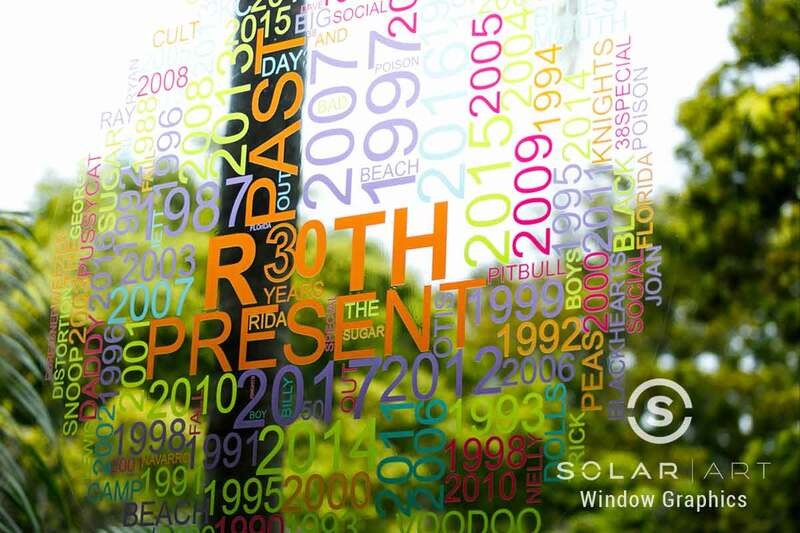 Solar Art did a really awesome installation in Laguna Niguel, California for the Roth Capital Partners Annual Conference! The conference had close to 550 participating companies and over 4,700 attendees! The customer wanted to promote their company by incorporating their colors and logo in several areas throughout the event. The customer needed something that was easily removable with no damage to the surface because the event was being held at the Ritz Carlton. They had a strict deadline of when they needed the custom vinyl installed and when they needed it removed. The customer worked closely with our sales representative, graphics team and installers to make this happen! 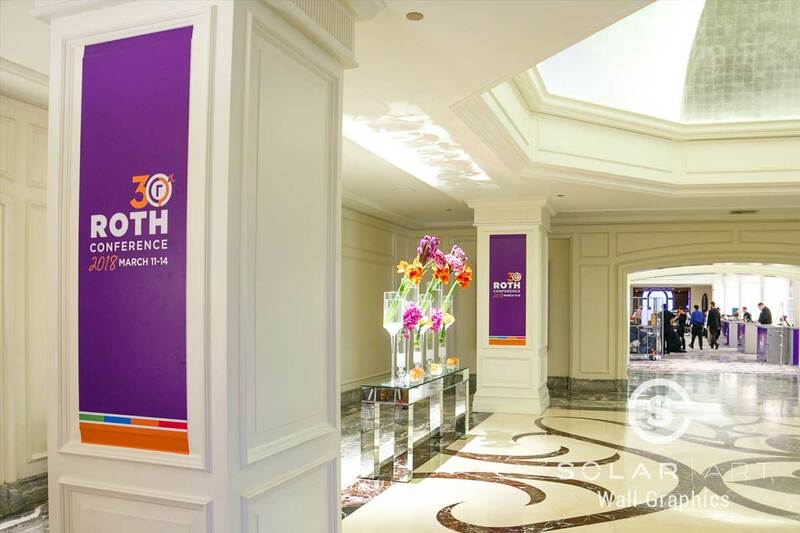 The customer’s main goal was to promote Roth Capital Partners and the 30th anniversary of the conference. They decided to have custom vinyl installed to the pillars, mirrors, floors, walls and windows. They wanted to promote the event, their company as well as have directional signage. They worked with our graphics team to figure out what each custom vinyl graphic was going to look like. The customer was sent proofs to approve so that they could see exactly what the custom vinyl graphic was going to look like. The custom vinyl that was installed on the cement and the pillars showed direction to where the evening entertainment was being held. They covered the walls and windows with their company and the event to really raise awareness. Our installation crew was able to meet the deadline of putting the graphics up and taking them down. None of the surfaces were damaged by the custom vinyl. The customer was extremely happy with the outcome of the custom vinyl installation as they got a ton of compliments from the guests. In addition to custom vinyl, Solar Art also services solar film, decorative window film, security window film, anti graffiti film and exterior building wraps. Solar Art does residential and commercial installations and all window film is easily removable. Contact Solar Art today for a free quote! Custom vinyl gives you the flexibility to promote your company or event in any way you like. Custom vinyl can be installed so several surfaces and is easily removable. Contact Solar Art to learn more!